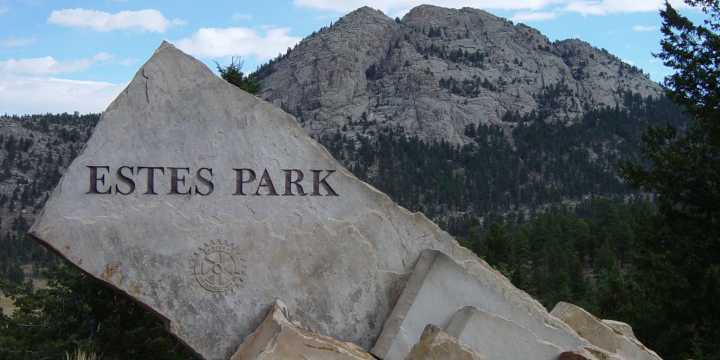 Now that summer has faded, the month of October is filled with fun and spooky activities for couples and families to enjoy in Estes Park. It all starts the first weekend in October when businesses throughout the downtown area, decked out with scarecrows, provide activities for family fun. The scarecrows and fun featuring them continues every weekend in October and offer weekends of face painting, games, prizes, coloring contests, cookie decorating, storytelling, hayrides, ghost stories and more. Of course, Estes Park is known for the Stanley Hotel - named as one of the top ten haunted hotels in the United States, inspiring Stephen King to write his famous novel, "The Shining." The hotel has several ghostly opportunities available during this season. Visitors can take a historic Ghost Tour of the Stanley Hotel where they&apos;ll learn about the history and haunting of the hotel during this 90-minute tour. On the fourth floor, which used to be the servant&apos;s quarters, visitors may hear the playful squeals of children echoing down the hallway. The tour includes the music room where Flora Stanley is sometimes heard playing her piano and the billiard room where the aroma created by smoke from F.O. Stanley&apos;s cigar has been noticed. Guides take sightseers into the underground tunnel used by servants and employees over the years. Many a visitor has returned from the Stanley with photographs of orbs and ghostly apparitions - and even audio recordings of melodic harmonies from Flora&apos;s antique grand piano. There also are ghost story wagon rides at the Elkhorn Lodge every weekend in October from 1 to 5 p.m.
Want to bring the family for a weekend get-a-way? The YMCA of the Rockies - Estes Park Center offers a Fall Festival where you can enjoy the sights and sounds of fun that autumn brings. The whole family will enjoy pumpkin carving and painting, crafts, archery, a family campfire with s&apos;mores, a family square dance and more. The festival weekend is scheduled for Oct. 21 through 23. Another Halloween activity is a murder mystery night at the Stanley Hotel on Oct. 28. Dressed in business casual or dress casual attire, guests will take part in solving the mystery of the night. Those attending must be 21. Reservations can be made at 970-577-4110. Looking for a Halloween party? Marys Lake Lodge will celebrate the ghostly season with a Halloween bash on Saturday, Oct. 29. Dress in your best costume and dance the night away to the blues band tunes from Delta Sonics. There will be a prize for the best costumed couple. Lonigan&apos;s Saloon and Grill will be hosting a costume dance party on Saturday, Oct. 29 starting at 9 p.m. The Stanley Hotel&apos;s annual costume party for those 21 and over, the Shining Ball, is Saturday, Saturday, Oct. 29 from 8 p.m. to midnight. Prizes will be awarded to the sexiest couple along with the scariest couple, most original couple and the best character from the movie, "The Shining." For information, call 870-586-3371. Ticket reservations are required and attendees must be 21 years old. Tickets are available on line at www.stanleyhotel.com . The Rock Inn Mountain Tavern&apos;s Halloween party is on Halloween - Oct. 31. Come dressed in your best mythology costume and compete for crowd votes during the dancing to James & the Devil that starts at 9 p.m. Jack Dagger, a knife thrower will be on hand for a performance as well. In addition to the Halloween Night bash, there will be live entertainment during the weekend. Gristle Gals play from 8 to 11 p.m. on Friday, Oct. 28 and Pete Stein entertains on Saturday, Oct. 29 from 7 to 10 p.m.